Formed shortly after he left Battle Beast, guitarist Anton Kabanen returns with his second Beast In Black album, From Hell With Love. The album finds new drummer Atte Palokangas (Agonizer, Thunderstone, et al) joining the heavy metal crew. Essentially, musically speaking, From Hell With Love is merely a ditto of the former Berserker. But to put too many adjectives to use, Beast In Black delivers pompous and bombastic melodic heavy power metal rock. 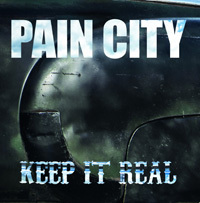 The band does this mostly by the barrage of twin guitar riffage and the big beat and groove of the rhythm section. Yet these elements are then embellished by Kabanen's lavish synth programming which gives the tunes everything from immense orchestration to synth wave and industrial metal grandeur. All this to say, that with any Beast In Black song you can easily tap your toe, even dance, or bang your head, pump your fist and, if you have the hair for it, do windmills. Turning to the songs, most simply work those aforementioned elements to start fast and heavy with powerful riffs and stomping groove, and eventually leading to a guitar solo. Along the way vocalist Yannis Papadopoulos works his throat in fine metal screamo fashion. Fast and heavy groove monsters come with Cry Out For A Hero, No Surrender, Unlimited Sin, and Repentless. The latter song is a fine example of the powerful combination of riffs and symphonic synths, but also Papadopoulos diverse vocal range. Other songs simply turn up the rock groove to the maximum like Heart Of Steel, Sweet True Lies, and True Believer with its quirky synths. Similar is the title track which has a rampant rock groove, but sounds more like power metal disco music. Alternatively, something nearly completely different comes with the folk metal inspired Oceandeep, again another song to display Papadopoulos' fine vocal talent. 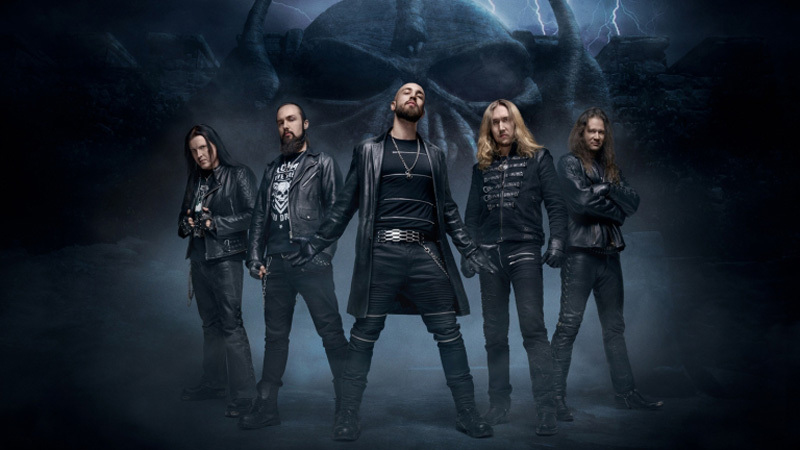 Essentially, From Hell With Love is exactly everything you would expect from Beast In Black, outrageous and bombastic melodic power metal rock. Recommended. 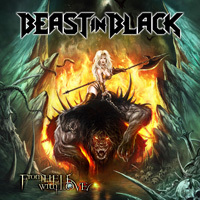 Essentially, From Hell With Love is exactly everything you would expect from Beast In Black, outrageous and bombastic melodic power metal rock. Recommended.